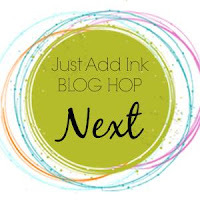 My Sandbox: Just Add Ink #392....BLOG HOP! 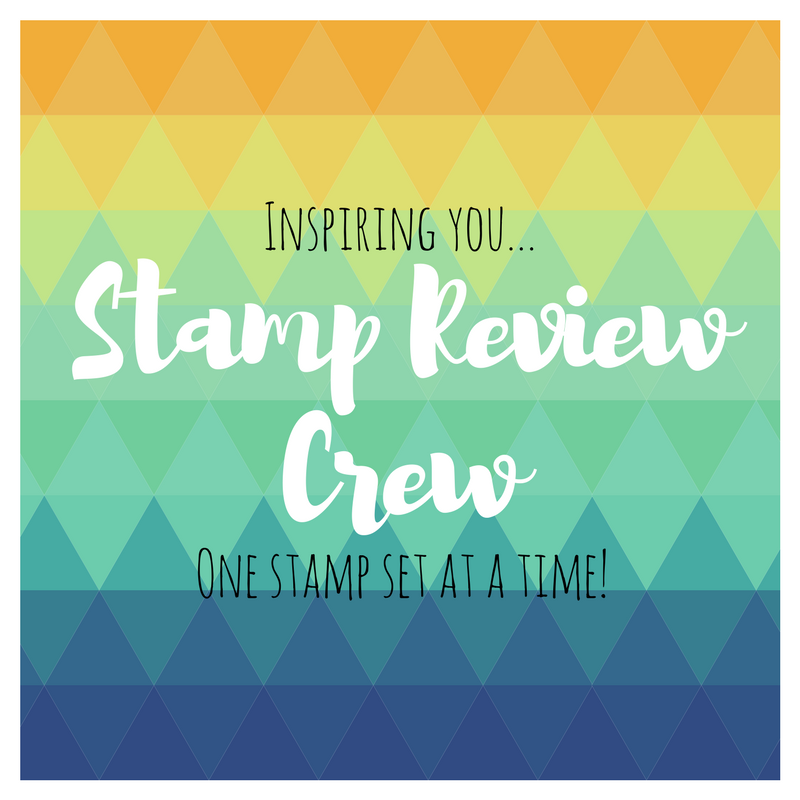 Just Add Ink #392....BLOG HOP! 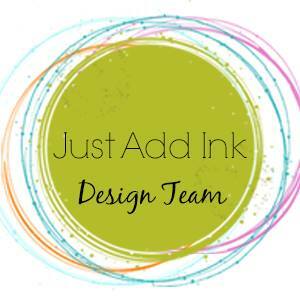 Welcome back to the first Just Add Ink challenge for 2018! For this weeks challenge the team would like you to add "Something New" This can be something you've just acquired or something you've had for awhile but have yet to use or even a "New" technique. 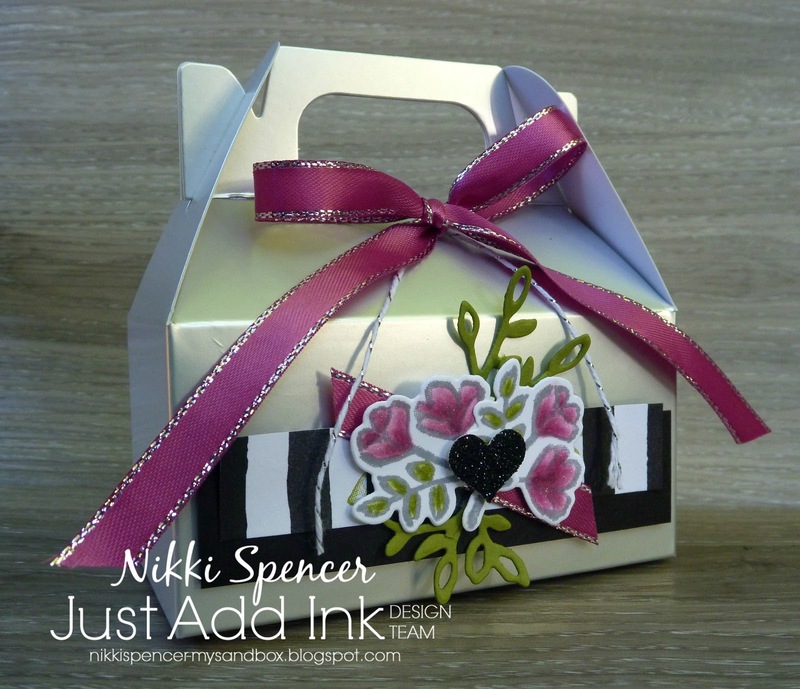 For my project, I've cracked open the gorgeous new "Petal Palette bundle" and combined it with the super cute "Mini Gable" boxes, some new ribbon and twine and the gorgeous new "Petal Passion" DSP. 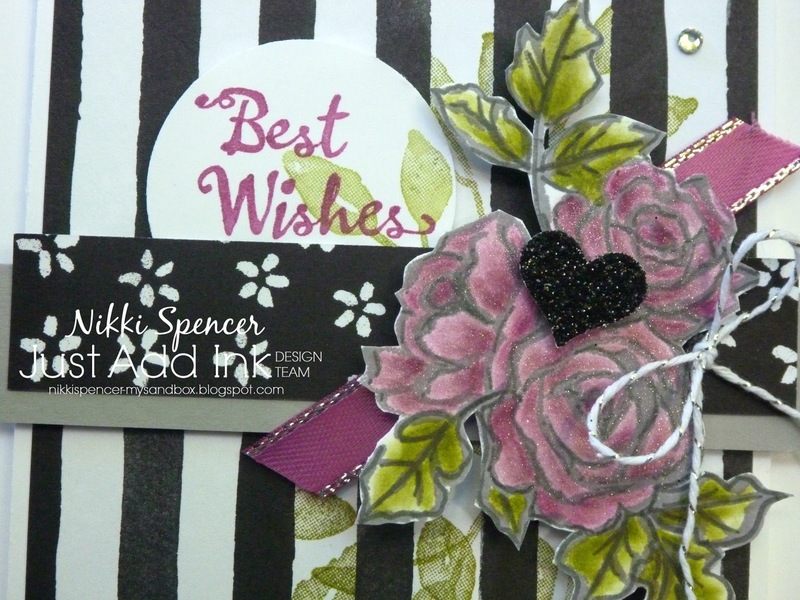 The ribbon has dictated my flower colour "Berry Burst" and l used my markers and blender pen to colour them after stamping in Basic Grey! 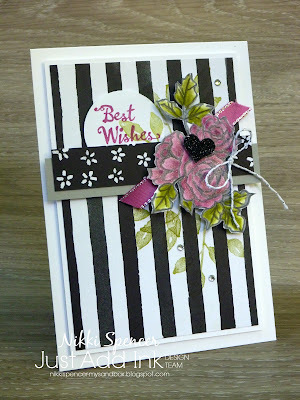 Next on the hop is the fabulously talented Lou Kitzelman, l'm sure she will "wow" you with her project! Thanks for stopping by & happy hopping! 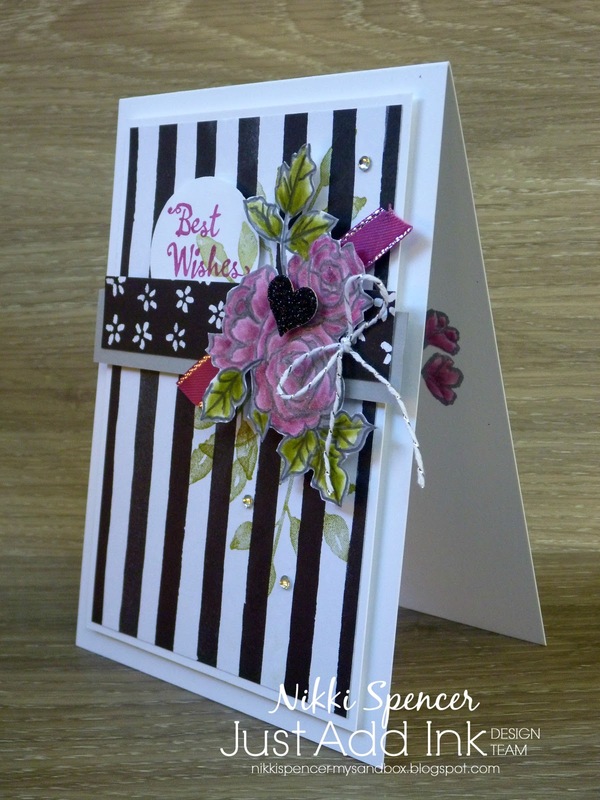 The pop of colour against the stark black and white background is stunning. That's a lovely cluster you've created on the card. Wow, gorgeous Nikki! Love, love, love! 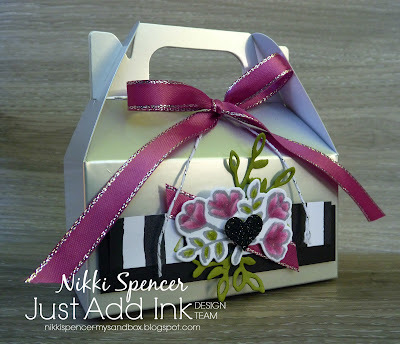 These are so sweet Nikki. 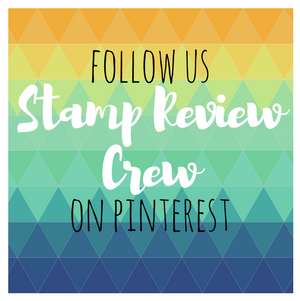 Love the colouring with the subtle grey ink. 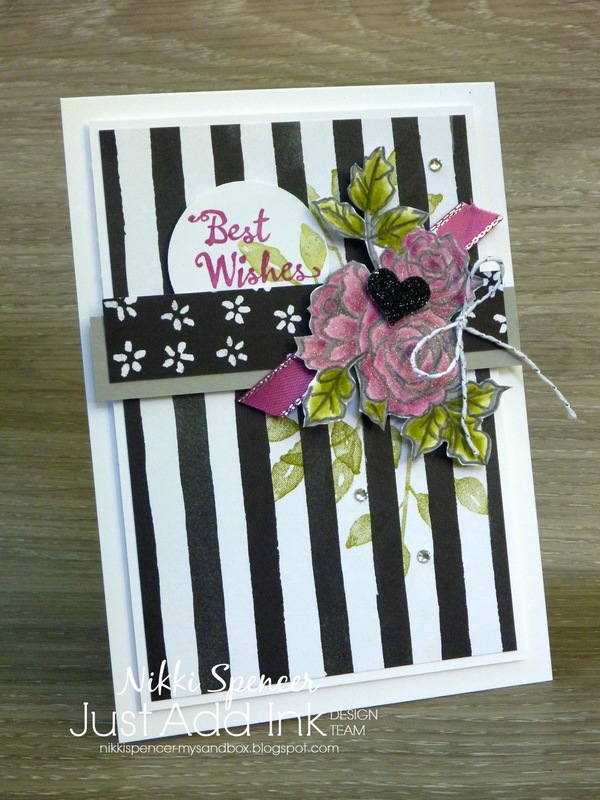 Your floral sprays on both projects are just lovely. 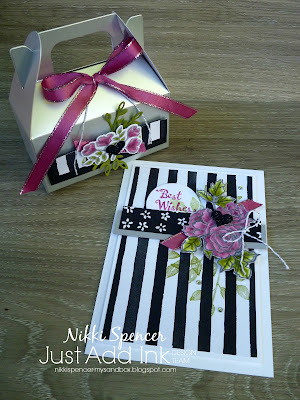 Ooh, that box is lovely, as is the card. Your colouring is so beautiful. 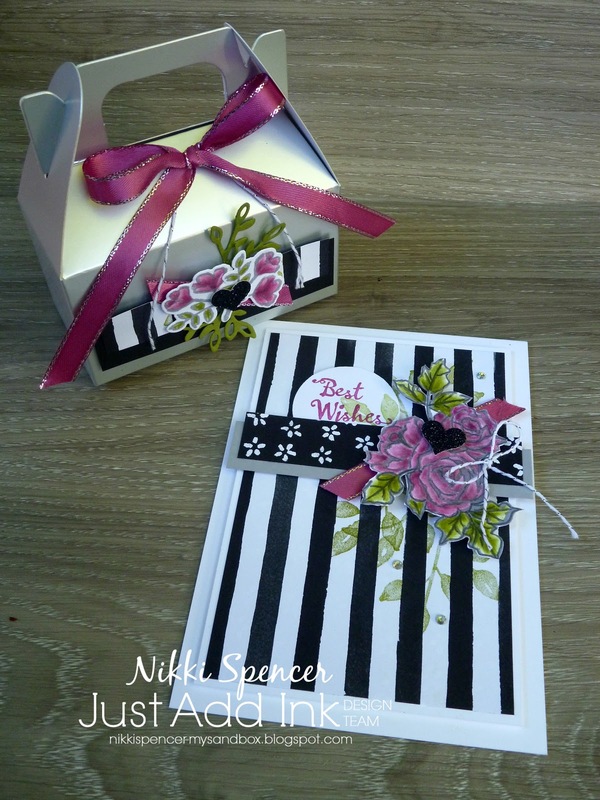 Stunning work Nikki~ I love that gift box! Wow, Nikki. 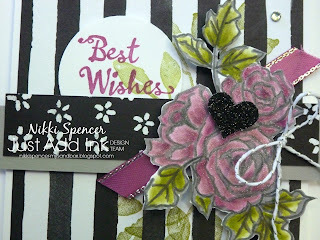 great combination of modern & graphic teamed with soft & pretty.